Cat owners have to worry about a lot of things. From the smallest aspects in life such as acquiring the best toys in order to keep their cats away from scratching apart the entire couch to extreme measures required to prevent or even treat their pet’s certain health issues. Some of these health problems could however be avoided if cat owners paid proper attention to their pet’s water intake! Glass are NOT a recommended way to hydrate your furry friend! Since cats are usually not overly preoccupied with drinking water and care more about their yummy treats, owners often forget to pay attention to one very important aspect: hydration! It’s not rare for a cat owner to notice that the water bowl has been barely touched by its furry friend although more than a day or two passes. All animals however, cats included, require a balanced diet and fluid intake in order to maintain their health and although it might be troublesome for some when trying to convince their cat to drink more water, there are certain ways to deal with this common problem! First of all, try focusing on the type of “dishware” you provide for your cat! Do not try to convince yourself that as long as your cat doesn’t jump around its water bowl or the kitchen sink then everything is fine. Because it is not! Cats have a tendency of being quite the picky little scoundrels and it is not uncommon to see a cat refusing to drink water because it hates the bowl you chose for him. As absurd as it might sound, this is an important part of maintaining your cat properly hydrated, because these pets hate having their whiskers hit the sides of a bowl as it prevents them from being able keep their surroundings in view. So instead of a deep and narrow water bowl, try using a wider and shallower one to avoid such problems! You might also be surprised to see that your cat prefers drinking water straight from a running faucet instead of its bowl. That is mainly based on the fact that cats generally avoid still waters such as puddles, ponds and lakes! Secondly, pay more attention to the type of food your cat consumes! Dry food has its undisputable advantages, but when it comes to hydration, excessive consumption of dry food is the most common mistake owners make. Offering your cat a proper amount of wet food daily will make it easier to avoid dehydration and will balance out the lack of water intake that your cat might be struggling with! Last but not least, always keep your cat’s water fresh! Same as with humans and many other animals, cats hate having to drink water that has been standing around for long. Provide fresh water at least once a day! Dehydration is a common occurrence in cats all around the world. Pay attention to the aspects above and hasten to your vet if your cat shows any signs of lethargy, loss of appetite, dry mouth, depression, elevated heart rate, decreased skin elasticity or sunken eyes. Obviously, the aim is to never get at this stage. Do give due importance to your cat’s hydration! Cat fountains are a great way of getting your cat to drink more as cats are naturally attracted to flowing water and they are more likely to drink from a cat fountain than a cat bowl with still water. Personally I use PetSafe Drinkwell Platinum Pet Fountain for my cats as apart from featuring an enticing free-falling water stream, it also includes a replaceable carbon water filter that removes bad tastes and odors, and helps to keep water fresh. It has a built in reservoir so you won’t need to refill it too often and it is made from BPA-Free plastic to safeguard your cat’s health. With so many sources, legitimate or less so, telling us what and how to feed our pets, the perfect feeding regime for your cat has lately transformed into an overly complicated bachelor thesis instead of a routine task. In the past, feeding your cat seemed a much simpler and easier activity and, even now, owners are tempted to keep old practices alive, but for those who prefer commercialized products it is hard to decide what to buy. There are many healthy foods humans can consume that your cat should avoid at all costs, leaving most of us with little to no alternative than sticking to pet shop and veterinary approved cat food. There are several brands on the market, so picking just one will always be hard to do, but if we take into consideration that there are mainly just two types of food promoted by each brand, it won’t be so difficult to decide. In the end, it all comes down to “wet” or “dry” cat food. Wet vs Dry Cat Food – Which is the Best Choice? Most cats seem to be more attracted to consuming wet food, which is more similar to how food used to be when they lived in the wild, after all. The perks with this type of cat food are also closely related to maintaining a good health condition for your pet. Many cats do not drink as much water as they should and wet food ensures that they are hydrated, not only well fed. It is also easier for pets that have missing teeth or jaw problems to consume wet food than dry food. On the other hand, wet food may be more expensive than dry food and it is bought in smaller amounts at a time. Storing it in the fridge might ensure it is edible and fresh for a longer period of time, but try to avoid doing this too often since some cats hate eating cold meat or cold products in general. It is best to serve them food at room temperature. On this note, if you do decide to give your cat wet food, be careful when buying canned wet food. The bigger the quantity, the harder it will be to ensure fresh food for your cat! As with humans, canned foods are better eaten as soon as you open the can and storing it for too long is not recommended, even if you improvise something to cover the can after having already opened it. Dry food might not be as appealing to your cat as other types of food, but it is generally easy to store and presents less risks in ending up spoiled or inedible for your pet. There is however the issue of lower levels of animal based proteins which are found in dry kibble. This is important for your pet’s development and should be a priority when choosing the type of foods you provide them. In the end, it’s best to balance out the two! Find a brand of cat food within a price range you can afford and make sure to offer your cat a diverse meal every day! Does your cat laze around the house all day long without showing interest in any physical activity? Do you feel like old habits and interests no longer present any significance to your pet? Is your cat a lazy boy? There are various aspects that should be taken into consideration before attempting to raise your cat’s activity levels. First of all, you should take into consideration that there are certain breeds that are simply not as interested in playing and running around as others might be. It is important to document yourself a bit on this matter before deciding what to do next! If your cat’s breed falls into the more “static” category, you should take extra care with what and how much you feed it or it might end up overweight. This could also lead to specific health issues, so it’s one of the most important things you should worry about. If, however this is not the case for the breed you have, do not despair! There is nothing wrong with your cat other than it might be bored or uninterested in his current options. So, if you want to get your fur ball up and running, start by gifting your cat with some new toys. 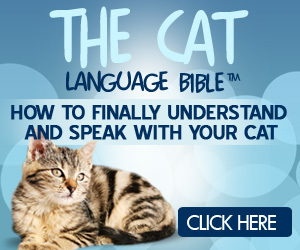 This might not garner as much interest as you actively participating in the playing process would, so sacrifice a bit of your time to tempt your cat into chewing, chasing and scratching its new acquisitions. Cats love taking naps! It’s not strange to find your cat sleeping for long periods of time during the day. You should remind yourself that cats are nocturnal animals and that they are more active during the night than during day hours. However, adding vertical space and scratching posts might garner more interest from your cat and you might soon notice your furry friend climbing and jumping around again. These are, after all, general activities these animals are familiar with in the outside world. On this note, most cats are renowned hunters and having only “static” toys around the house might not be as engaging as they’d like. Why not use battery-operated toys to attract their attention? They are especially useful for owners who find it difficult to spare more time playing with their pets. There are even battery-operated toys which have a timer, making the whole process so much easier for you and more entertaining for your pets. Hunting and pouncing around. Bringing a new cat into your household is a great option for those who can afford caring for more than one pet. If the new addition to the family is a kitten, you can rest assured that having an active and curious playmate around will easily mobilize your cat. Even an adult cat is a great incentive to any pet as it might be more tempting to run and play games when you have a partner in crime. In the end, it all depends on choosing the method that fits you best and actively participating in the process of making your cat happy! The Feather Whirl combines the excitement of a wand toy with the automatic and erratic motion of an electronic cat toy. The weighted base of the Feather Whirl creates a unique wobble motion while the real spinning feathers at the tip of the wand activate your cat’s natural instinct to swat and pounce. The whisper-quiet motor turns on with a touch of a button. Feather Whirl is guaranteed to become one of your cat’s favorite toys!